Handling the day to day matters of your family is stressful enough, but making sure that everyone has healthy teeth and gums is an added stress that pops up every few months that brings a whole new basket of stresses with it. From scheduling to fear of dentists to paying for it, there’s a lot to deal with. Fortunately, using a family dentistry clinic can alleviate a lot of these issues. Keep reading to learn the 6 major advantages of finding the right family dentistry clinic for your loved ones. 1) You can bring the kids along. When your family all have the same family dentist, making appointments is a cinch. Just schedule everyone at once. Or at least schedule one parent and the kids all at once. Doing this is a major timesaver for working parents who don’t have a lot of free time or none at all. Having multiple members of the household visit the dentist simultaneously means a lot less shuttling people around, which is especially helpful when there are young ones in the home who can’t drive themselves yet. 2) Kids don’t have to go to the dentist alone. This one sounds the same as the previous reason, but it’s an advantage for a different reason. Kids can find dentists frightening. Strangers are in there putting bright lights in their face and poking and prodding inside their mouth with tools that make horrible noises. If adults hate going to the dentist, consider how much you hated it as a kid. Children that get to visit the dentist the same time as older siblings or even a parent or two have familiar faces nearby. Emotional support is available if needed. On the best days though, seeing who goes through their appointment most stoically can prove a fun family game, as parents inspire their kids to just suffer through it in grace. 3) No babysitter is required. When the whole family or most can go in one trip, there is no need for day care or child sitting for anyone left at home. This makes scheduling a lot easier, and sometimes the day is also a lot cheaper to boot. 4) You’ll get used to the same people. As much as having people doing things inside your mouth while you are laying their helpless is bad enough, it’s even worse if it’s different people every time you go, or if you change dentists regularly. 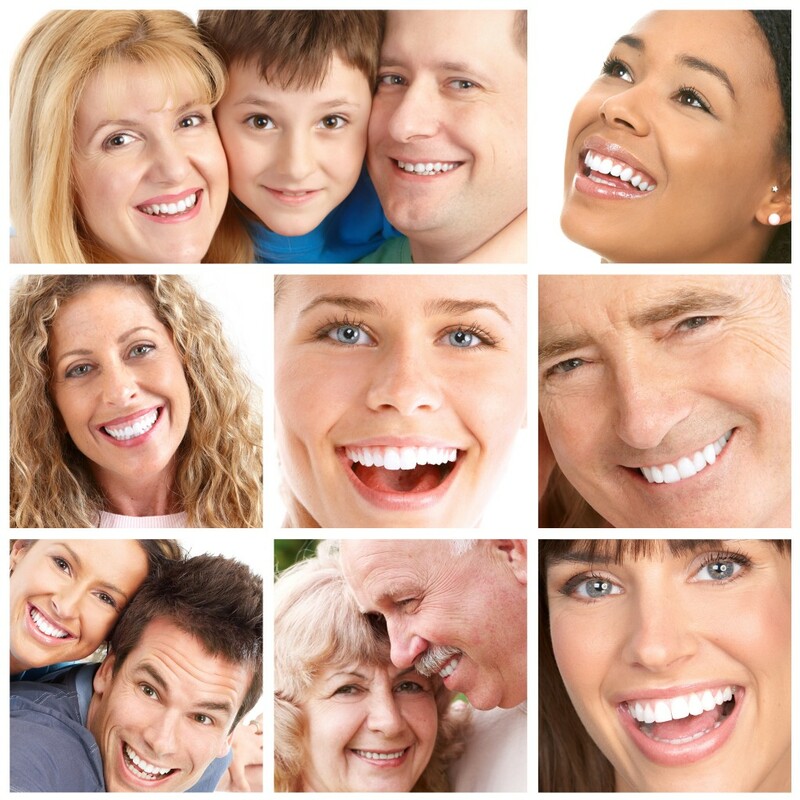 By using a family dentist, you’re likely to see the same people every six months. Familiar faces (and hands and fingers) can make the experience a lot less stressful, as you learn to trust those you entrust your teeth to. 5) Family dentists know teeth of all ages. From young kids through teenagers and adults to the young at heart, the practitioners at a family dentist clinic see mouths and teeth of all ages. This means they have personal experience and professional expertise in all kinds of dental situations, from braces to dentures. They can spot problems far in advance and give you specific ideas of how your teeth might be in a generation rather than just the old warnings about flossing and brushing every day. 6) Family dentists want to keep your business over the long haul. Dentists are businessmen at the end of the day, and they know that eighty percent of their business comes from twenty percent of their patients in many cases. They may see a lot of one-time visitors, and it might even fill most of their schedule, but they want steady income and money and financial security as much as anyone who is not a dentist. If your family is visiting them regularly, they have multiple clients in one group, and possibly will make your kids and their families regular customers too. They may have to raise their prices from time to time due to inflation and the rise in health care costs, but they’ll always have advice on how you can save money with them. It also won’t take you long to figure out their marketing and coupon cycles so that you can take advantage of them. These are the 6 major advantages of using a family dentistry to care for all the teeth and gums in your family. Find one in your community to make this part of your life a lot easier. From the outside looking in especially as a patient, cosmetic dentistry is a ‘want’, but one that is appealing because you want that great smile too. The enticing nature of cosmetic dentistry begins to pull you in as you see how celebrities have great smiles and you think rocking one is possible too. You can commence by speaking with a cosmetic dentist. They will give you a free consultation about what your teeth need and how they should prepare your teeth. This lets you prepare for the appointments that will come once the consultation has been done. A few things are spoken about the topic by cosmetic dentists themselves. They want to give this information to patients to keep them aware. If someone tells you once the consultation is taking place that alignment is not necessary they are not good. These are people who want to see you sign up at any cost and will just keep saying what you want to hear. Alignment is absolutely necessary. You cannot accept someone telling you that alignment is not a primary requirement. It is different if you ignore the suggestion, but if they are not even giving it, you are in the wrong hands. You are with a person that is absolutely wrong for you and for anyone else too. You might think this is like getting a haircut where you just show a celebrity and hope you will get it. Does that ever work? Do you ever really get a haircut that looks like your favorite Hollywood superstar? No, you get something that is a horrible mock of what they have on their head. The same sticks for teeth as well. You can’t just bring someone’s smile with you and say you want that. The cosmetic dentist can’t work with that because your case is different. If you are having work done, you should whiten the teeth first because you can’t have it done later and they can get a clearer match for the veneers or whatever you are having done. The whitening is important and will make your smile look great. Whiten first and if they say that is not necessary, you are once again with someone that is horrible at their job and not for you. Whitening the teeth is just mandatory and you should be doing it if that is how you want the teeth to look. They will try to charm you because cosmetic dentists are running a business just like anyone else. They want to sell it to you that they are good and they will make you better with the smile. You want to be careful about this. Don’t be wooed at all. Listen to what they are suggesting. Keep seeing how they talk and what they do for you. If they push you, they are being far too rough about this. You can’t be wooed. You should be given the option to select different things and just hearing them say you will have a perfect smile is not enough. How will they do it? You want to ask about that. If there is one part you can totally control, it would be the consultation phase. There is no dead set rule about how many consultations you need before signing up with someone. You can take as many as you want and see how they vary in price and approach. You are going to pay a lot, so seek out these consultations right away. It will mean you are prepared with the process. Sometimes, you might even want to go in twice. Being a patient is interesting because some people are smart about it and others careless. If you have money to spend, you are probably in a grim position because this means you won’t hold back when deciding. You might even select anyone to work on your teeth. Cosmetic dentistry is more art than just science. Yes, there is science behind it, but the person is working their craft like an artist on your teeth. You need to know this too. Sedation dentistry is the active use of medication in order to put a patient in a very relaxed state while the dentist works on the patient. These sedative drugs are able to help the patient become much more free from all kinds of stress and anxiety that they might experience because of the fear of having the dental procedure done. Therefore, it has the ability to make the entire experience much more tolerable and easier on the patient. At the same time, it can make the procedure even easier for the dentist as well because they do not have to worry about dealing with issues that result from the patient being anxious and stressed out during it. In this article, we will be going over some of the main benefits off sedation dentistry. 1. Makes Patients More Relaxed. In fact, untreated dental problems can even result in serious problems unrelated to your mouth such as heart disease. For this reason, it is critical to be able to relax yourself to the point where you are going to be able to effectively go to the dentist without having to worry about anything. Another huge benefit that the patient is going to get from this kind of dentistry is much better overall comfort. Because you are not going to really feel or remember anything, your entire experience is going to be much more comfortable. A lot of people have troubles going to the dentist and getting their teeth worked on because they are simply not comfortable throughout the entire experience. By getting your teeth worked on while sedated in some kind of way, you will be able to make the entire experience a lot more comfortable. Another huge benefit that you are going to get from doing this kind of dentistry is the fact that you are going to save a good amount of money by choosing it. While it might seem as though there is no way you can save money while doing it since it will cost more per session than traditional treatment options, you end up saving a good amount of money because your dentist will be able to effectively finish your treatment and/or procedures in much less time. Thus, you might only spend one session with your dentist when in fact it would take the dentist a full two or three appointments to finish your session if you were going to a traditional dentist and not getting sedated during the treatment. This is a huge benefit for a lot of people because who doesn’t want to save money. This goes along with saving money. By going to a sedation dentist, you will be able to maximize your dentist’s efficiency and thus you are going to end up saving time as well. For a lot of people, time is money. Therefore, by saving a good amount of time by not having to spend so much time in the dental office, you will further save both time and money. Another huge benefit that you are going to get when you invest in this kind of dental treatment is the fact that you are going to get much better overall dental treatment. The reason is simple, you will end up getting better treatment because your dentist will be able to entirely focus on what he or she is doing on your teeth versus having to constantly work around your voluntary or involuntary movements and keeping you from feeling any kind of pain or keep you from being uncomfortable. Therefore, you are going to make their jobs much easier and you will get better treatment as a result.